• Brilliant live performance at Keystone in Palo Alto, CA in August 1979. By 1979, The Flamin' Groovies remained in the throng of their 1976 album Shake Some Action, a devastating record that shone a wider light on the band and guaranteed their status as underground icons. Their influence would be felt in the ensuing years with numerous alternative bands both at home and across the world absorbing the band's look, sound and attitude. Eternal champions of the raw, punk of the 1960s that re-emerged on Shaws' Pebbles series and Lenny Kaye's groundbreaking Nuggets, the Flamin' Groovies paid their homage to the sound and the songs with an explosive live set as is evident from their appearance at Keystone in Palo Alto, CA in August 1979. 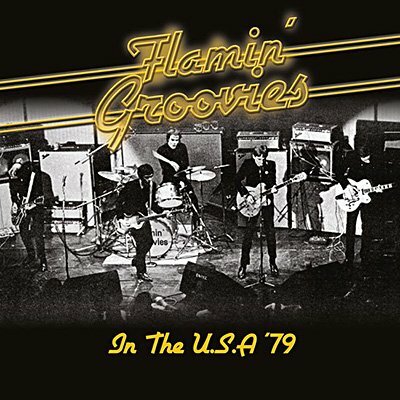 Echoes proudly presents the Flamin' Groovies in an explosive live performance. Professionally re-mastered original KSJO¡FM broadcast with background liners and rare archival photos.